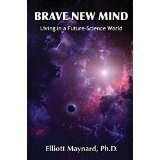 Elliott Maynard is a neo-renaissance scientist and conceptual designerwho walks his talk, lives his dream and is driven to share this information with others of like mind. 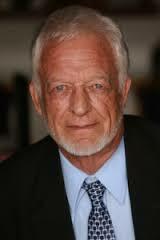 His background spans the fields of Global Ecology, Coral Reef Ecology, Oceanography and Tropical Rainforest Biology. 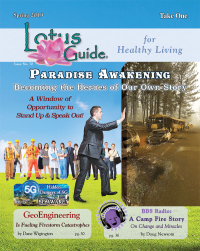 He earned a Ph.D. in Consciousness Research and has served on the faculties of Adelphi University and Dowling College in New York. Dr. Maynard defines his master paradigm as “a new operating system forthe human race.” But how does Future Science Technology assist in upgrading our mind to the mind of new man (Homo novus)? What are the characteristics of this new man? How do we access this quantum mind? Maynard skillfully highlights an array of seemingly unconnected subjects from which he weaves a “Living Tapestry.” This tapestry contains both the threads of the future science world that are already in place, as well as threads that exist in the future. By embracing this new mindset we can work collectively to birth a new era of effective fixes for a world in which our established institutions are teetering on the brink of collapse or are already broken.